Looking for the perfect holiday recipe? Check out the recipes created using Hickory Farms this holiday season – 100% delicious! Let’s start with these Chunky Double Chocolate Caramel Brownies made with Hickory Farms brand new Signature Chocolate Collection. This little box of goodies is just the thing to have a couple of in your pantry, for those times you need a quick gift or need to bring a treat over to the neighborhood potluck. Or fold them into brownie batter and drown them in caramel sauce, like I did here. 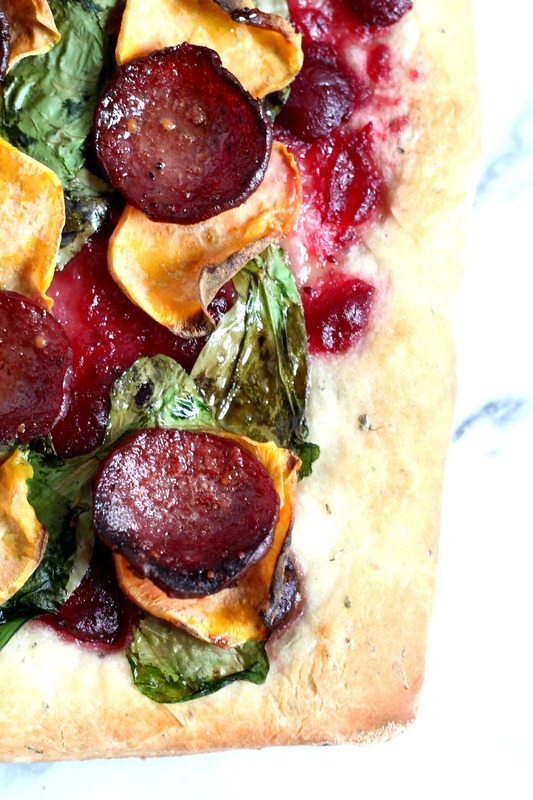 This Sausage Fall Flatbread was a favorite of my husband, since I tested this recipe 3-4 times in one week. He’s a fan of Hickory Farms Beef Summer Sausage and when using it as a topping in this seasonally inspired flatbread was love at first sight! It’s the perfect recipe to use up that extra cranberry sauce! Need total decadence? 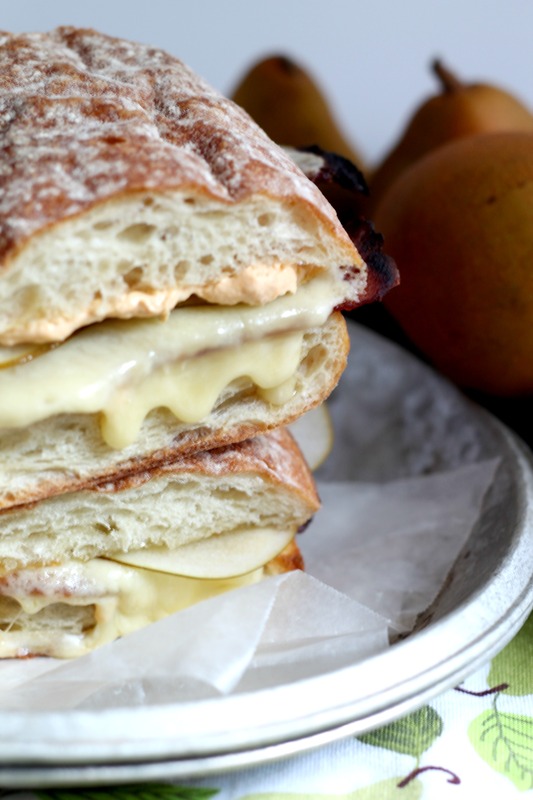 This Triple Crème Cheese, Pear& Pumpkin Grilled Cheese Sandwich is just what you’re craving! A spread made from pumpkin puree and cream cheese, thin slices of fresh pear, and the luscious cheese from Hickory Farms Triple Creme Cheese made this a grilled cheese to remember. Want to wake up the kids on Christmas morning with a special breakfast? 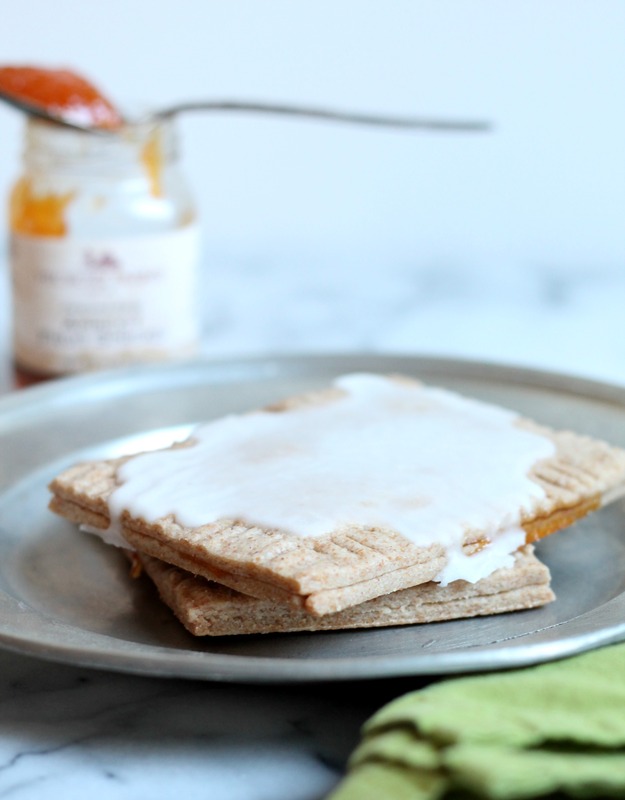 These Whole Wheat Apricot Toaster Pastries are not only delicious, but the use of whole wheat flour makes them a healthy option for the holidays! Love cheese and baked goods? This Cheddar Apple Pie brings the best of bought worlds together – the crust is studded with Hickory Farms Three Year Aged Cheddar Cheese and filled sweet and tart apples. Seriously, best pie you’ll make this season! Twitter Chat Alert! I’ll be co-hosting a Twitter chat along Hickory Farms this week, on Tuesday December 16th at 1PM EST. Join us by following the hashtag #TraditionTalk – there will be recipes and fun giveaway prizes! Follow @HickoryFarms and myself, @nella22, for updates! Disclaimer: I was hired by Hickory Farms to develop these recipes and was monetarily compensated for my time. Thank you for supporting brands that make it possible for me to get creative in the kitchen and share recipes with you more often! Oh man, those brownies!! Everything looks delicious, but especially those brownies!